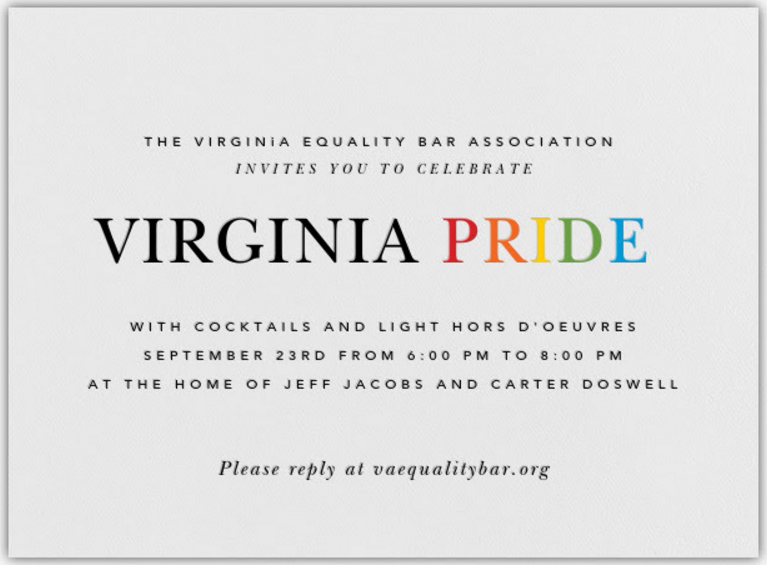 Join the Virginia Equality Bar Association for a celebration of Virginia Pride. We will enjoy cocktails and light hors d'oeuvres from 6:00 to 8:00 p.m. at the home of Jeff Jacobs and Carter Doswell. The address is in Richmond and will be emailed upon registration.